Father's Day Special, 15% Off! 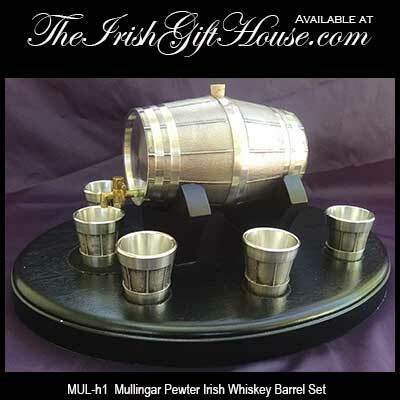 Mullingar Pewter Irish Whiskey Keg and Shot Cup Set with a Wooden Base. 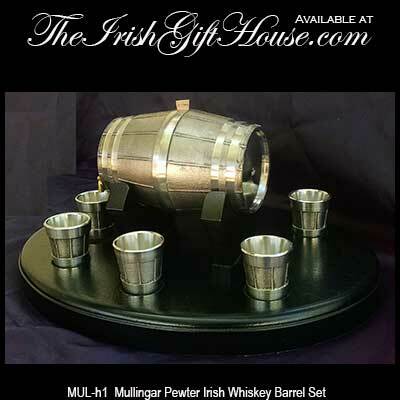 Mullingar Pewter Irish Whiskey Barrel and Shot Cup Set. 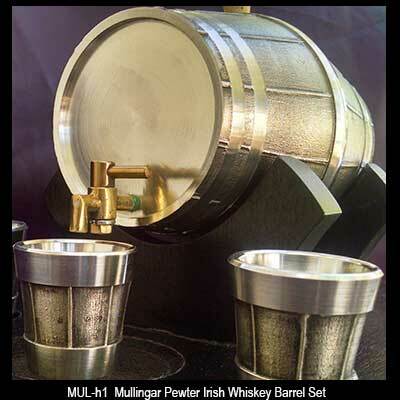 and it includes a functional tap. 5 1/4" long (not including the tap) x 3 3/4" wide at the center. 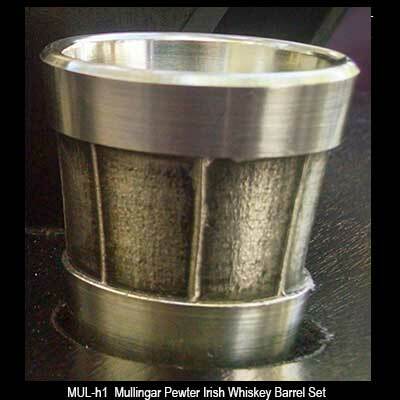 The six one-ounce whiskey glasses measure 1 1/2" tall x 1 3/8". 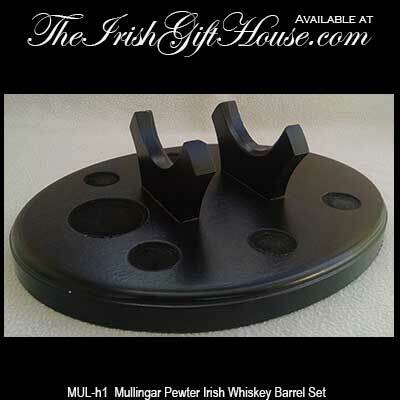 The oval wood base is 12 1/2" x 9 3/4" and has felt lined cup holders and bottom.